Stoco Jewellery Studio carries a large selection of Bulova, and Citizen watches. All of these companies are well known for making stylish timepieces with quality accurate movements. The following are brief overviews of the brands we carry. Come in and see our large selection of watches today! 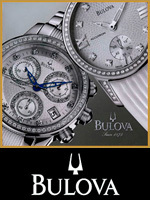 Bulova watches began in 1875 when a 23-year-old-Czech immigrant Joseph Bulova set up shop in New York City. His commitment to quality and affordability led the company to expand into the large company it is today. Having a strong history, Bulova is also the purveyor of a number of innovations in the watch world, most notably the use of tuning forks to keep accurate time. Bulova has also been to the moon - courtesy of its breakthrough Accutron time mechanism, an integral feature of NASA technology from the late '50s through the first moon walk in 1969. All models of Bulova watches are intricately constructed with even the smallest details taken into consideration. Today, Bulova, one of the world's most recognized brands is dedicated to upholding its legacy of creativity and excellence. Built to endure, whatever the challenge, Harley-Davidson® Timepieces by Bulova reflect the uncompromising pursuit of excellence of two of America’s most honored companies. 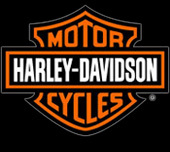 Founded in Milwaukee in 1903, Harley-Davidson continues to produce the world’s most acclaimed motorcycles. Bulova, established in New York City in 1875, enjoys international renown for timepieces of superior quality and precision. Drawing on more than 200 years of exceptional craftsmanship, these proud American companies have joined forces to create a collection of watches with the strength, style and durability worthy of both great names. Harley-Davidson® Timepieces by Bulova. 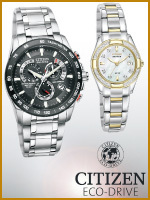 Citizen's exclusive Eco- Drive technology never needs a battery replacement. Eco - Drive watch movements harness the power of light from natural or artificial light source and converts it into energy which is stored in a permanently rechargeable lithium- ion cell that recharges continuously in any kind of light to run forever.